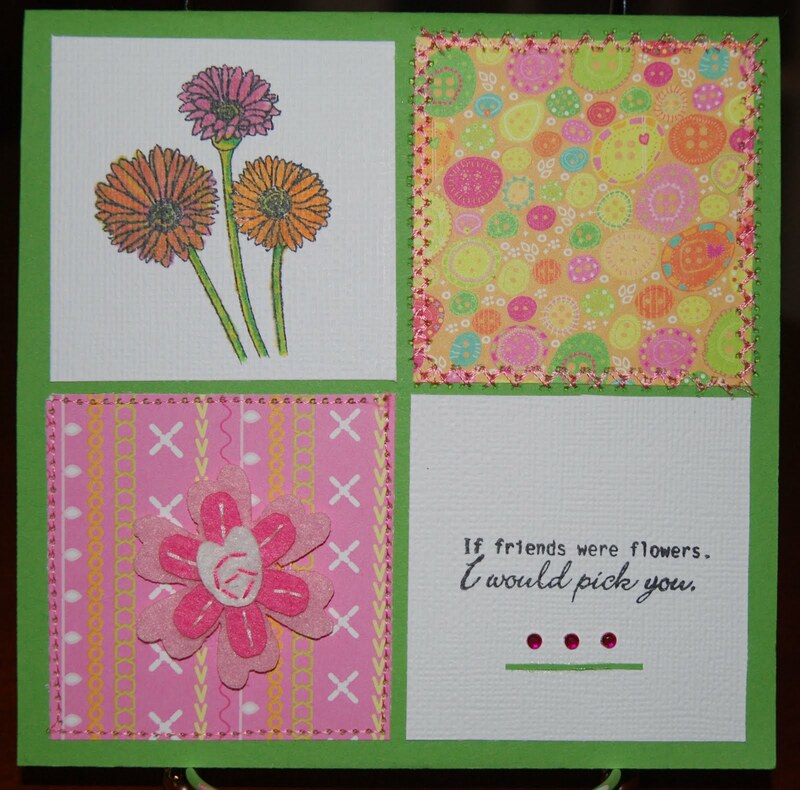 CardMonkey's Paper Jungle: Friendship Card -- "I'd Pick You"
Finally, I have a Saturday where I have few plans. This means as you might expect for a time-challenged cardist (that's card-artist combined, a mish-mash word of my own invention) ... time to make the cards! I still am working on a surprise for my followers that begins on Thursday, September 16, which happens to be my parents' 59th wedding anniversary. Until then, friends, I will try to keep up by creating and posting card art that pops into my juicy brain while up in the Craft Loft. Tonight, I decided to play with a set of new clear stamps that I just got in, from "There She Goes" Clear Stamp Company. (This is a clickable link posted here, so if you'd like to see what they have, just click to be taken to their front page.) I'm not on anybody's "Design Team" and so I actually pay for all my supplies. (Imagine that!) As we know, this isn't a cheap hobby, in any scrap-stretching sense of the word. This little scrap set with 18 images was about $30 with shipping ... but I splurged because I really liked the images and the sentiments on this set. This stamp set is called "Dream a New Dream" -- the title of the set is what should be inside every fortune cookie I open! The two stamped images here are the flower trio and the sentiment. I colored the flowers with Copic markers. I cut each square 2.5"x 2.5" and mounted the foursome on a card that's 5.5" square. I machine-stitched around the two flower paper scraps, and adorned one with a felt flower from the Creative Charms collection. I can think of many uses for this card, so I may have to make several more. Well, tomorrow is another day! I hope you have fun things planned ... enjoy life! Love the card! I just became a follower since I really need card inspiration. Beautiful card. I also like that paper corner book mark. Think I'll make a few of those.